As we approach the final moments of the Lucchese year 2014, a year that has seen such a wonderful array of musical performances, from opera to orchestral, from chamber music and recitals to jazz (not forgetting the popular summer and winter music festivals), we were recently reminded of the origins of one of the main contributors to these events, the Lucca musical association - the AML. In November 1964, the internationally renowned American tenor and conductor, Herbert Handt gave the first concert of the AML at the Palazzo Ducale in Lucca and so dawned the start of a new and exciting era in the city’s cultural life. After training in New York and Vienna, Handt studied with Arturo Toscanini and made his operatic debut at the Vienna State Opera in1949 with Puccini’s Gianni Schicchi, followed by many performances in the great opera houses of Europe and America. 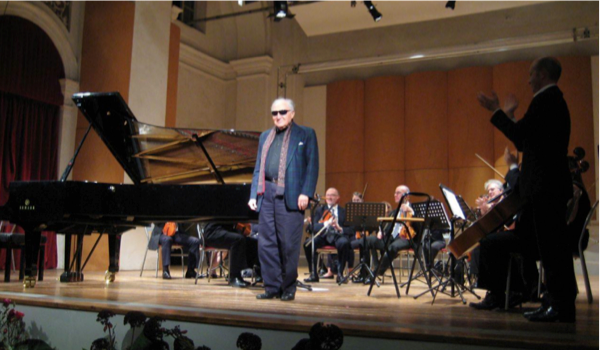 He began his conducting career in Rome in 1960 where he had lived for several years, but he decided to move permanently to Lucca with his wife, the talented sculptor, Laura Ziegler and soon became a driving force in the musical life of the city. 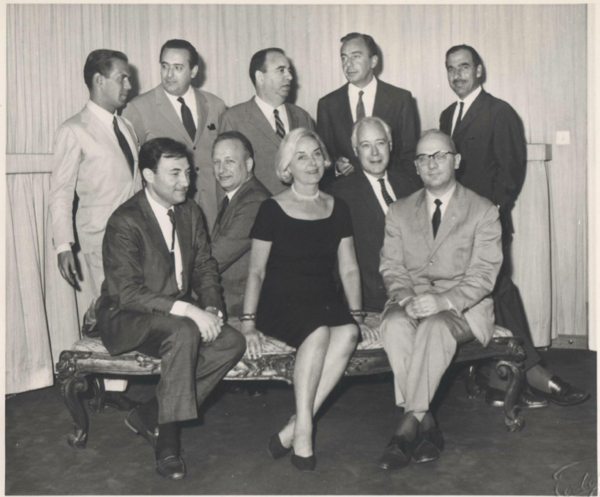 The Handts joined American philanthropist and socialite, Carol MacAndrew who had arrived from San Francisco in the 1950s and who found that in Lucca she would be able to indulge her passion for Italian life and more importantly for music. She became the first President of the newly formed Lucca Music Society and as well as being an excellent host to the internationally famous performers who regularly arrived on the scene, she was vigilant and tireless in her mission to find new members and subscribers. There is an impressive list of visiting artists, including Maurizio Pollini, Sviatoslav Richter, Salvatore Accardo, Boris Christoff, Elisabeth Schwarzkopf, Mario Ancillotti, the Italian Quartet, the Borodin Quartet and the Amadeus Quartet. Handt didn’t neglect music education and was involved in training and music therapy, by organizing initiatives for children and adults. 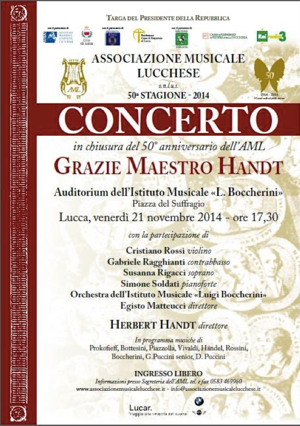 Handt’s contribution to the cultural life of Lucca over the years has been outstanding and was warmly recognized at a concert given recently in his honour at the Auditorium of the Boccherini Institute. 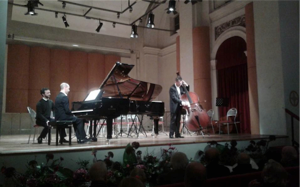 The concert was the finale to the 2014 season, which has been dedicated entirely to the fiftieth anniversary and has included more than 50 very successful events. The first half was devoted to performances by some historic "friends" of the Association who wanted to give their thanks to Maestro Handt. These were the violinist Cristiano Rossi who opened the concert, Gabriele Ragghianti on double bass and soprano, Susanna Rigacci. 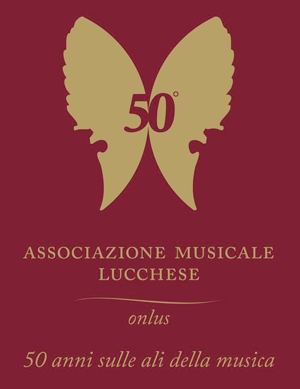 The second half was a repeat of part of the programme for the first concert give in 1964, which demonstrated Handt’s extraordinary work in discovering and exploiting some of Lucca’s musical heritage. Another stalwart of the Lucchese scene, the charismatic Egisto Matteucci first arrived on stage to conduct the Boccherini Institute Chamber orchestra in a performance of L Boccherini’s Sinfonia in D Major. 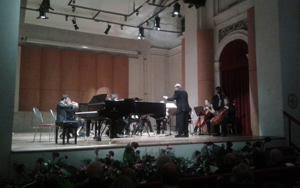 This was followed by Maestro Handt, who was given a warm welcome when he took to the podium to conduct the Sinfonia from Cantata Electoral "The Arminio" by Giacomo Puccini senior. He followed this with a fine interpretation of the Concerto in B flat for piano and orchestra by Domenico Puccini with Simone Soldati at the piano. 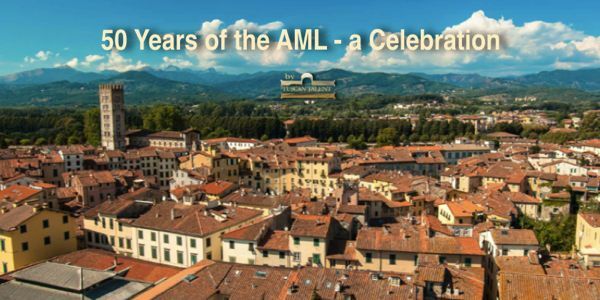 To close the celebrations, there was the presentation of the book on December 10, dedicated to 50 years of life dell'AML. It contains a list of concerts since 1989 (there is a first volume with the first twenty-five years of activity), some photo archives and a brief history of the Association. 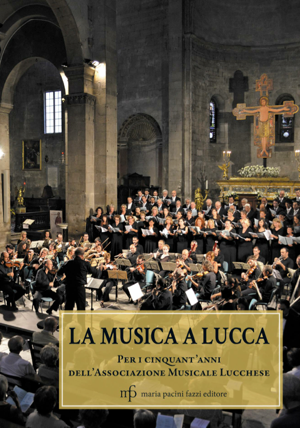 The cover of the book has a photograph of Egisto Matteucci’s choir, the Polifonica Lucchese in action at their concert for AML in September, in the beautiful church of San Michele. Maestro Matteucci is Vice President of the Association. The new Artistic Director of the AML is the talented pianist Simone Soldati. He is proving to be a dynamic new leader and has already organized an exciting programme for 2015, so Maestro Handt can be assured that the Association is in good hands. Here they are together in a short clip from the Puccini piano concerto.